Will Muschamp isn't mad at being fired by Florida. Sunday, April 21, 2019 • R.I.P. Edition • The Outhouse Universe will never be the same! Will Muschamp. Image via auburntigers.com. 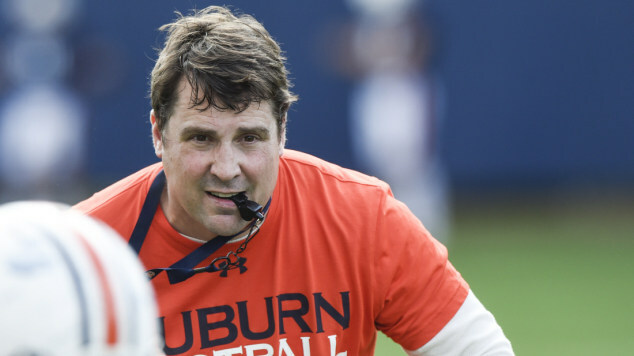 From the "I Ain't Mad at Cha" department comes word from first-year of his second stint as Auburn defensive coordinator that he harbors no ill will against former employer, Florida. Muschamp was fired from his position as the Gators' head coach last season. Muschamp served as head coach for Florida from 2011-2014, with a 29-21 record. He went 1-1 coaching Florida in bowl appearances. Sadly for the college football world, Auburn and Florida aren't currently scheduled to meet anytime in the next few seasons. The best chance for a Muschamp revenge game against the Gators would be a hypothetical SEC Championship Game between the two schools. Given the sorry state Muschamp left the Gators in, that has a minimal probability of happening, at least for the next season or two. Muschamp's first game back as Auburn defensive coordinator will be a neutral-site Chik-fil-A Kickoff Game against Louisville at the Georgia Dome in Atlanta on Sept. 5.